Our cycle came to a close yesterday. Shawnie emailed to tell me that we had lost our two remaining embryos. I don’t really know how to describe what I felt when I read that. I was in shock because I thought our two embabies that were left were doing pretty well. I immediately stepped out of the office and headed towards our dreaded alley to call Todd. Through audible sobs, I tried to tell him what had happened. Finally, he told me to come home. I did. It’s devastating. Five times we have tried this. Sometimes, five tries wouldn’t be nearly enough. For this, it’s more than we probably should have done. It is probably time to throw in the towel and do something different. I got home to Todd yesterday, and we curled up on the couch like we always do after a failure. Not too long after, he asked if I wanted to get out of the house. It seemed like a great idea, so we headed for the lake. 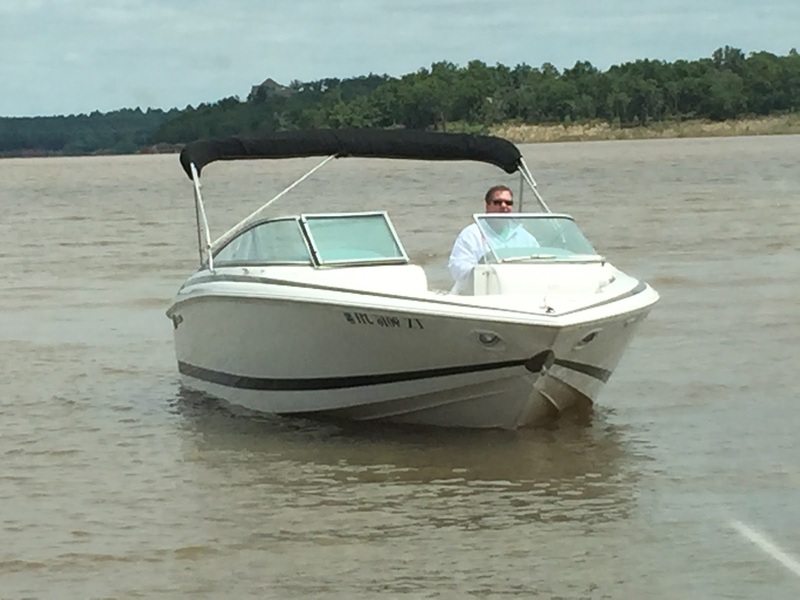 We had our maiden voyage on our new boat. It was a great way to kill some time and just be. I posted these pictures today on Facebook with the caption “Maiden Voyage – I could get used to these evening boat cruises.” I had thought about saying “When life gives you lemons, go to the lake,” but I knew people would start asking questions. I just wasn’t ready to talk about it, yet. It’s funny how people present themselves on social media. 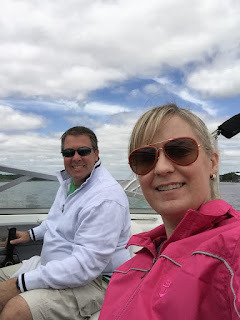 Todd and I are both smiling in this picture, and it probably seemed that we were having an amazing day. 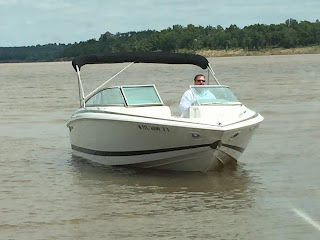 Albeit, we do love to be on the water and are thoroughly enjoying our new boat, you couldn’t see through our sunglasses that we were both holding back so much pain. The passing of another failed cycle is another step closer to having to change the course of our dreams. When we made it home, Mom had dropped off a homemade strawberry-on-strawberry cake for me. My favorite! She’s a good mom. This morning was hard. I cried…a lot. I feel kind of like I’m in a Twilight zone, and I’m not really living through all of this. I feel numb one minute and devastated the next. I’m just really emotionally tired. Now, I have to pull myself together and put on a happy face for the girls. They arrive tonight.